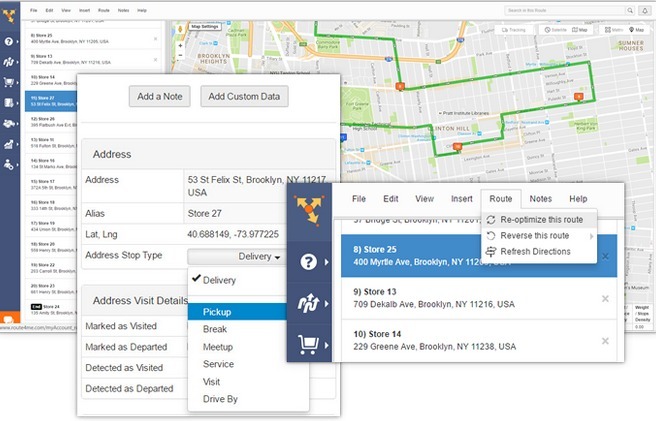 Route optimization software is a must-have tool for courier services, sales organizations, and all other businesses that send employees out to meet with their customers. Such software helps you meet service delivery deadlines, which improves customer satisfaction. It allows you to serve more customers and expand your business without hiring more employees. It’ll save you money on gas, too. By reducing your expenses and improving productivity, final mile delivery software will increase your profit margin significantly. Not every route planner is the same, though. Some are easy to use, while others have clunky and confusing interfaces. There are other issues you need to look out for as well, such as slow performance and poor customer support. 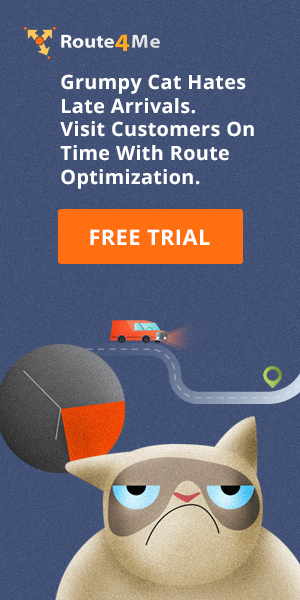 Before you buy route mapping software, ask yourself the following questions first: But, let’s understand first what is route optimization. #1 How Long Does It Take To Plan Routes? Route planning with pen and paper takes a long time. There’s more to it than just figuring out which roads your drivers need to take to get to your customers. You also need to account for traffic, construction, weather, and other factors in order to provide your drivers with accurate and efficient routes. If you have dozens of customers and multiple drivers, this process can take hours. One of the biggest reasons to invest in routing optimization software is to cut the amount of time it takes to design routes from hours down to seconds. After you enter all the addresses you need to visit, it shouldn’t take more than a minute for route mapping software to give you an optimized route. Some programs can import customer data directly from eCommerce platforms like Shopify and WooCommerce, which makes the route planning process even faster. #2 Is It Easy For Drivers To Use? You won’t be able to benefit from route optimization software if your employees can’t figure out how to use it. Final mile delivery optimization software should be easy to use. 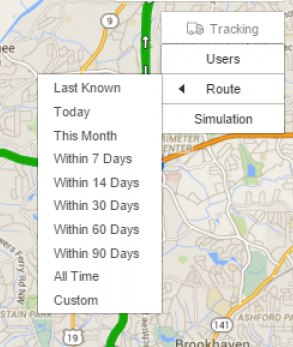 The whole point of route planning software is to make your drivers more efficient. An interface that’s difficult to navigate will end up slowing your drivers down instead. Another thing that can slow your drivers down is if a customer needs them to go to a different address at the last minute. That’ll ruin the route they started out with for the day, because moving one stop on a route changes how you approach every other stop. Figuring out how to adjust a route on the fly will make your driver late to a few stops, which is sure to upset some of your customers. That’s why you want your route planner to be cloud-based. Cloud-based route optimization software makes it easy to accommodate last-minute requests. When you make a change to a route and re-optimize it on your office computer, the new route will be automatically shared with your driver on their iPhone or Android route planner. It’s like you’re using the same program at the same time. You also need to make sure your Android or iPhone route planning software can integrate with popular telematics systems like Google Maps and Waze. #3 Does It Have GPS Tracking? 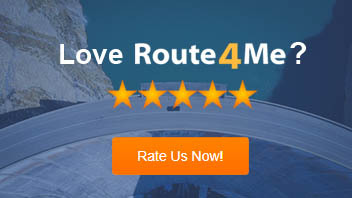 Route planning software can create 100% accurate and optimized routes for you in 30 seconds or less. But how do you know your drivers are actually following the routes you give them? If a driver is falling behind schedule or not following a route for some reason, you’ll know about it immediately. You can get them on the phone and find out what’s going on as soon as possible. In addition to showing you where your drivers are, GPS tracking software will also show you how fast they’re going. Speeding is a waste of gas. More importantly, speeding puts your drivers at greater risk of getting into an accident. When your drivers are speeding, GPS tracking allows you to catch them in the act. You can tell them to cut it out right away. You have a moral obligation to protect the health of your employees while they’re on the clock. There’s a bottom line incentive to preventing accidents as well – a car crash can cost you a fortune in legal expenses. Final mile optimization software usually saves GPS tracking information, so you don’t need to watch it live if you don’t want to. You can play it back whenever you find a convenient time. Texting And Driving Is Unacceptable. It’s Time To Prepare A Proper Cellphone Policy. The software would be a million times better if th route drivers could leave updated info and notes on the route and it’s updated emediatly in the cloud into the main system. Currently having to download and upload all the daily routes to get the information is a disadvantage. We hope this is somehow big that can be fixed .